Wuhan HAE introduces an absolutely new way to decorate walls or any vertical surfaces. Instead of using ordinary wall paper or wall decals, Wuhan HAE is offering a cutting-edge service and business opportunity in USA and Canada of direct to wall printing. Using specially designed and manufactured HAE printing machine and software, we can create high-quality custom designed wall murals printed on site directly to wall within just few hours. 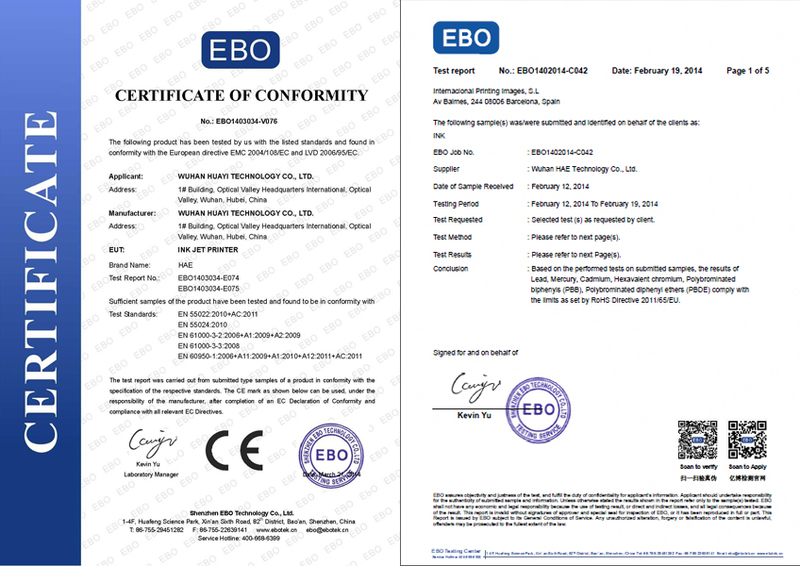 Reliable European quality printer is easy to set up and to operate. It brings limitless opportunities to decorate walls in homes, offices, shops, cafes, hotels and etc. There are wireless pad control machine, UV vertical Wall Printer for choice. 3). Adopt Imported sensor, machine Z axis can detect the wall leveling situation and adjust automaticly. 6). Ten years keeping improvement make stable HAE wall pinting machine, guarantee well printing during customer's construction site. Q1- What kind of ink can be choice? UV ink machine is customized, it can print on any surface. Q2- What is the size of wall inkjet printer? What size photo it can print? 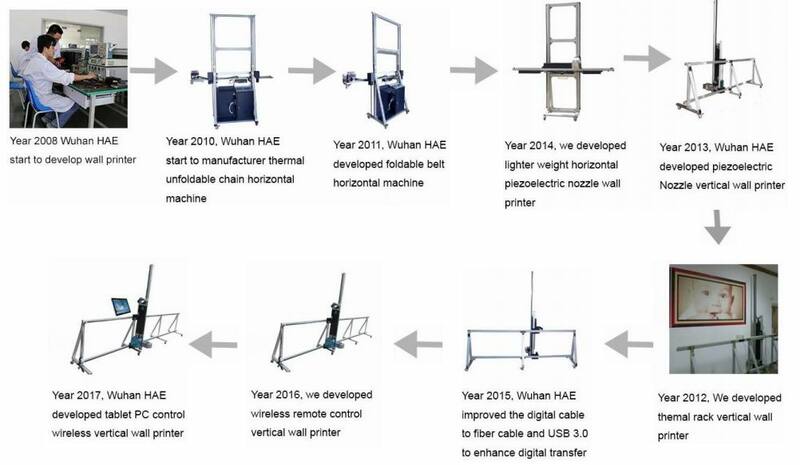 A: Standard machine width is 3M, height is 2.64M, can customize machine height between 2M to 3M..
HAE 3D Wall Printer can print any height and width photo per photo joint or add extra lead rail. Q3- Hong time the battery vertical wall can use with no power supply? Q4- Hong time the printed photo can keep on wall ? Q5- What is the software it use? Q6- What kind of surface your machine can print? Q7- What's the distance sensor can detect? Q9- If machine can OEM? Q10- How to support me if I do not know how to use it? Q12- How to confirm the printing effect or see your factory? Q14- How to Proceed the order? A: 1. Payment way--T/T, Trade assurance, Western Union, Money Gram etc. Looking for ideal Wall Mural Printing Machine Manufacturer & supplier ? We have a wide selection at great prices to help you get creative. All the Mural Printing Machine are quality guaranteed. We are China Origin Factory of Wood Printing Machine. If you have any question, please feel free to contact us.